No Tanks. No Refills. No Hassle. 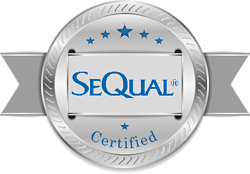 Eliminate the need to ever get oxygen delivered to your home again by upgrading to the reliable SeQual Eclipse 3. 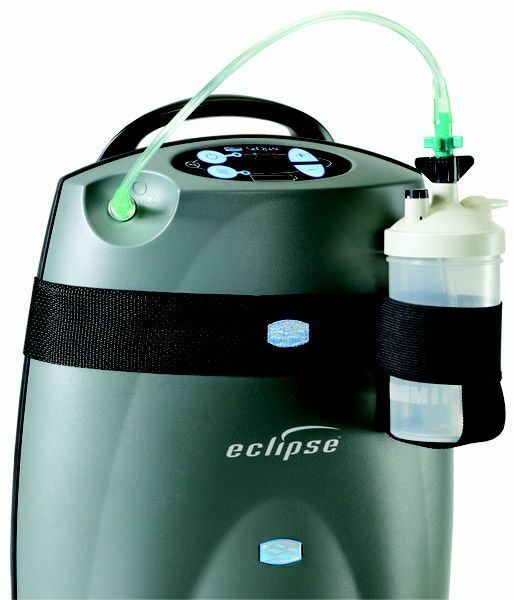 The Eclipse 3, offers both continuous and pulse dose flow oxygen settings. Enjoy continuous flow settings of 0.5 – 3 LPM, or if you are a pulse flow patient you have the options of 1 – 9 (16 – 192 mL). 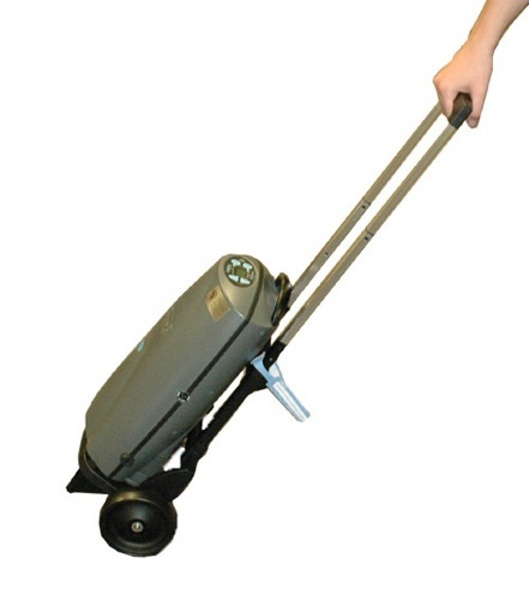 Standing 12.3” W x 7.1” D x 19.3” H and weighing 18.4 pounds with the battery installed, the Eclipse 3 comes with a wheeled travel cart to make pulling your concentrator as easy as possible. 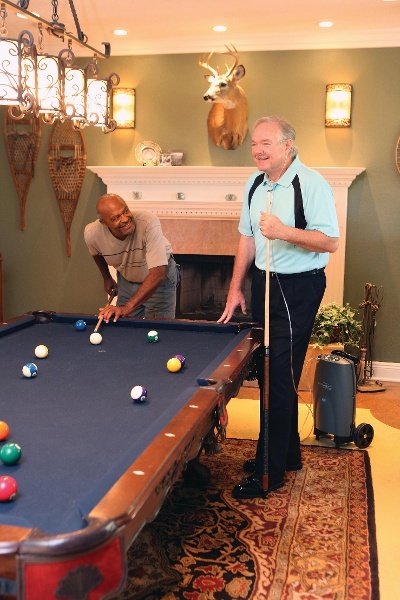 An oxygen concentrator is only as good as its battery life, and battery life is one of the many things that makes the Eclipse 3 such a remarkable unit! Off of a single battery on a pulse setting of 2 the Eclipse 3 produces supplemental oxygen for up to 5.1 hours, on the other hand when a continuous setting of 2 LPM is selected the Eclipse battery duration is 2 hours. It is always a smart option to have additional batteries on hand so you will never go a minute without your highly needed supplemental oxygen. 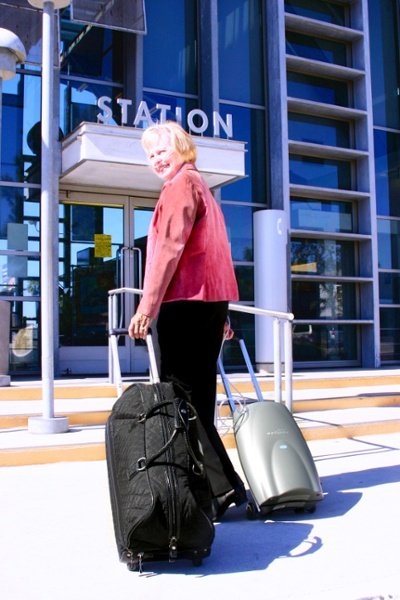 Traveling with the SeQual Eclipse 3 is quick, painless, and easy. 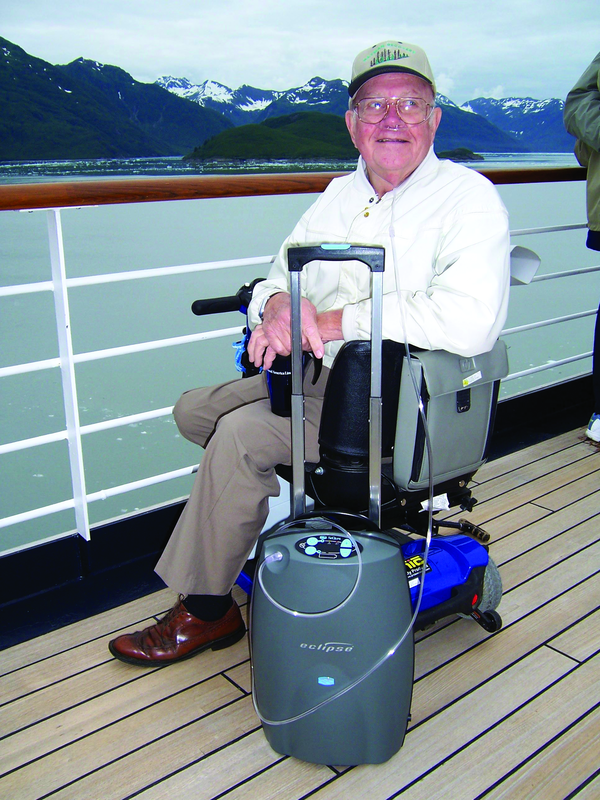 The wheeled travel cart allows you to bring your concentrator virtually anywhere you can go and it requires almost no effort to pull behind you. The travel cart is also equipped with a telescopic handle that adjusts to your height for comfort. You won’t have to worry about flying with the Eclipse 3 as it is FAA approved. Not to mention you never have to take it off of the travel cart, not even to put it underneath the seat in front of you on your flight. Should you need to bring extra batteries, you can access the battery through the back of the travel cart allowing you to quickly and easily swap batteries. 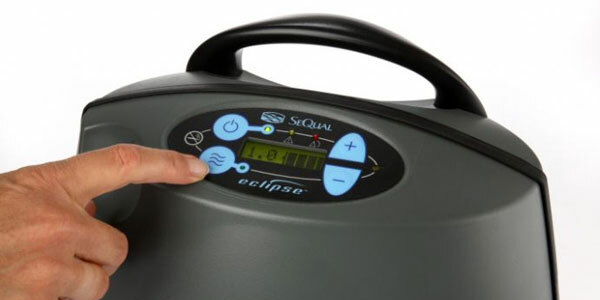 The SeQual Eclipse 3 is extremely simple to use and operate. The control panel is laid out in a clean and easy to read format. You can turn your unit on/off, change flow rates, change oxygen delivery modes, and view your remaining battery life with the simple push of a button. On top of the simple control panel, you rarely if ever have to take your concentrator off of the travel cart. You can access all of the features of the concentrator, including the installed battery to swap it on the go! 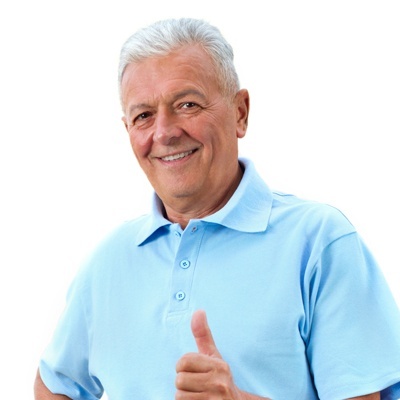 Rest assured knowing you will stay properly saturated while resting, walking, or during peak physical activity, thanks to the presence of autoSAT technology. AutoSAT technology is a pulse dose delivery method, and as breathing patterns change the Eclipse 3 will adjust and deliver a consistent bolus size for every breathe. 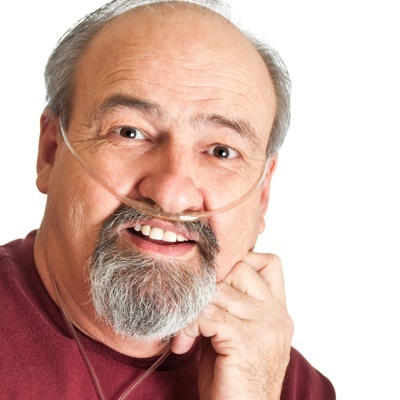 There are numerous oxygen patients out there that really enjoy this compatibility, as many COPD patients also suffer from sleep apnea. 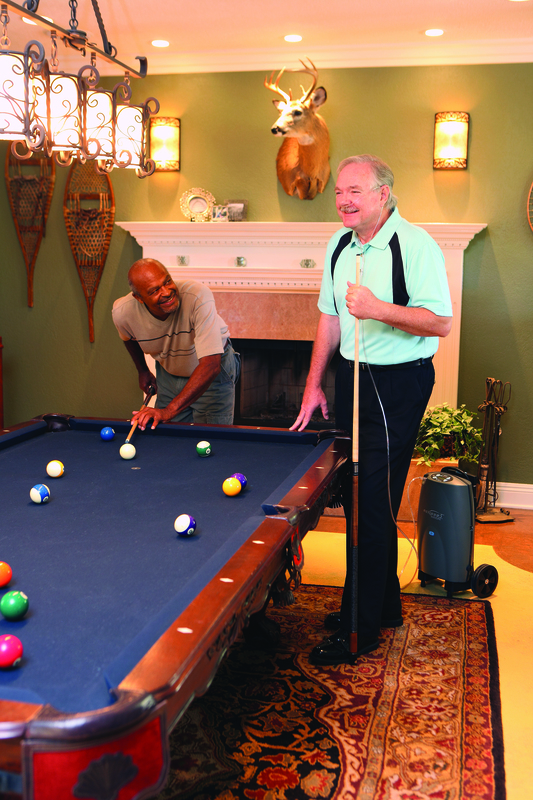 If you are one of those patients you will be able to use your CPAP or BiPAP machine in congruence with the SeQual Eclipse 3 portable oxygen concentrator. Charging the Eclipse 3 is quick and easy, just plug the AC power supply into the unit and find a wall outlet close to where you will be sitting so you can still receive saturation while charging, as all settings are available when charging the lithium ion battery through a wall outlet. If you are ever running low on battery while you’re running some errands, there will never be a need to worry, just pull out the DC power supply and plug it into the unit and the cigarette lighter outlet in your vehicle. The Eclipse 3 will be powered by the DC cord on pulse settings and up to 2 LPM continuous, but the battery will not charge. If you choose to purchase the optional external battery charger, you will be able to run a battery in the unit and charge an additional battery simultaneously through your household wall outlets. What Comes With Your Eclipse 3? Yes we are!  You will notice our badge of approval on this page which notes that we are an authorized dealer. 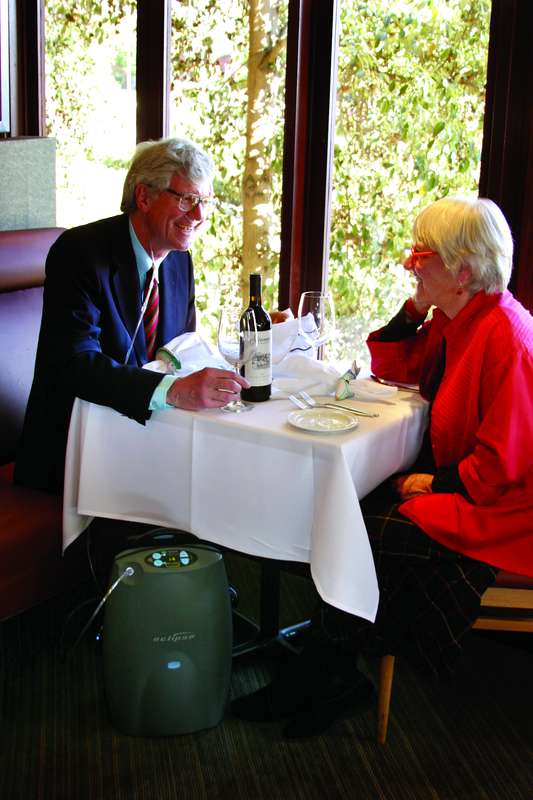 When purchasing any SeQual portable oxygen concentrator, make sure you are dealing with an authorized dealer to protect yourself. [fa icon="plus-square"] How much does the Eclipse 3 weigh? The Eclipse 3 weighs 18.4 pounds with the battery installed in the unit. It comes with a wheeled travel cart to make transporting your concentrator as easy as possible. [fa icon="plus-square"] How big is the Eclipse 3? The SeQual Eclipse 3 stands 12.3” W x 7.1” D x 19.3” H.
[fa icon="plus-square"] How long will the Eclipse 3 battery last? On a pulse flow setting of 2, the Eclipse 3 will get up to 5.1 hours of battery life on a single use. On a continuous flow setting of 2.0 LPM the Eclipse 3 will get up to 2.0 hours of battery life on a single use. [fa icon="plus-square"] What is the best way to recharge my Eclipse 3 battery? The Eclipse 3 battery can be charged using the AC power supply, DC power supply, or external battery charger. The AC power supply and external battery charger are the most efficient ways to recharge your battery and have no limitations. However, the DC power supply will only charge your battery if you are using your concentrator on a setting of 4 pulse or 2.0 LPM or lower. [fa icon="plus-square"] How long does it take for the Eclipse 3 battery to recharge? The SeQual Eclipse 3 runs on pulse flow and continuous flow modes. It offers pulse flow settings 1-9 and continuous flow settings 0.5-3.0 LPM. 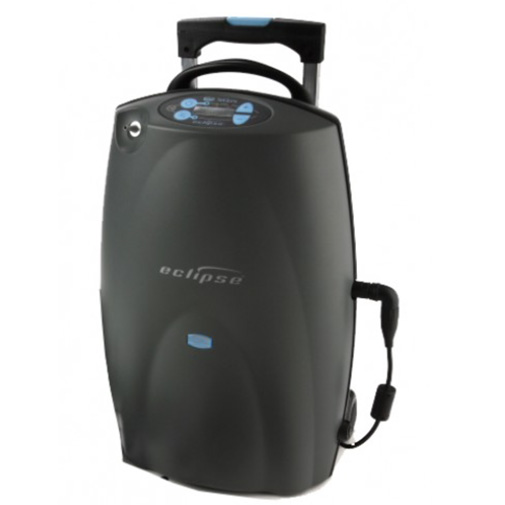 [fa icon="plus-square"] Is the Eclipse 3 a loud portable oxygen concentrator? The Eclipse 3 registers at 48 decibels on a setting of 3.0 LPM and 40 decibels on a setting of 3 pulse. Both of these ratings are quieter than a running refrigerator or a normal conversation so you know the Eclipse won’t be invasive. The Eclipse 3 has an operating altitude range of 0-13,123 feet. If you go above 13,123 feet the concentrator’s performance may suffer. [fa icon="plus-square"] How can I purchase the SeQual Eclipse 3? 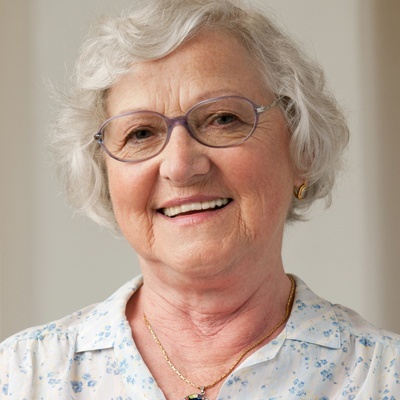 Simply give us a call and speak with one of our respiratory specialists! They will take the time to answer any and all questions and they can help you get the SeQual Eclipse 3 or they will find a unit that better suits your needs.